Here's our rumor round-up of the upcoming Zenfone 4 variants. Asus is fanning our excitement about the upcoming Zenfone 4 as the company officially teases the next-generation Zenfones in not only one but four interesting teaser concepts. The standard Zenfone 4 is pegged to have 5.5-inch FHD display and up to 6GB of RAM. 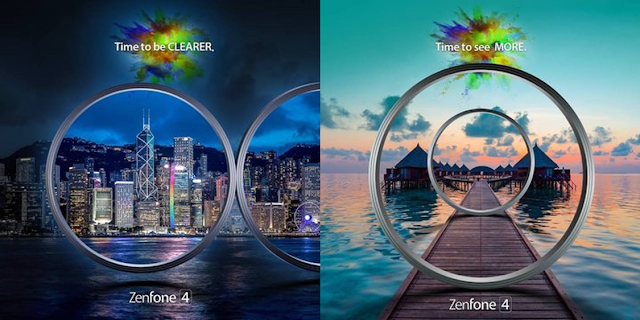 The Zenfone 4 will get a dual-lens set-up with the rumored 16MP sensor in its rear camera. Likewise, it will boot with Android 7.1 Nougat and could get a juicier battery life. The Asus Zenfone Pro will be the top-of-the-line smartphone upon release and will be the direct successor of the Zenfone 3 Deluxe. It will have a 5.8-inch FHD display and will be powered by a Qualcomm Snapdragon 835 and a whopping 8GB of RAM. We believe that the ZF4 Pro will rock a dual-camera set-up with 16MP sensors. Likewise, it'll boot with Android 7.1 Nougat. There will be crazy fast fingerprint reader, USB Type C and bigger battery capability in its specs sheet. The Zenfone 4 Selfie is also expected to tout a 5.5-inch FHD panel and will be loaded with up to 4GB of RAM. Basing on the moniker, the handset could pack 16MP sensor on front and back cameras. Plus the wide-angle camera will also be an instant feature. Well, this one in not a secret; it has been released weeks ago in Russia. The ZF 4 Max is a 5.5-inch FHD smartphone with 5000 mAh battery and up to 4GB RAM. It ticks with either Snapdragon 430 or Snapdragon 425, and boasts 13MP dual-lens setup. Aside from the aforementioned Zenfone 4 variants, there's also a Zenfone 4V smartphone coming later this year. If you can't contain your excitement, sound off in the comment section below. What Zenfone 4 variant are you saving up for?